Cockburn, A. "Living slow and dying young—senescence in marsupials." 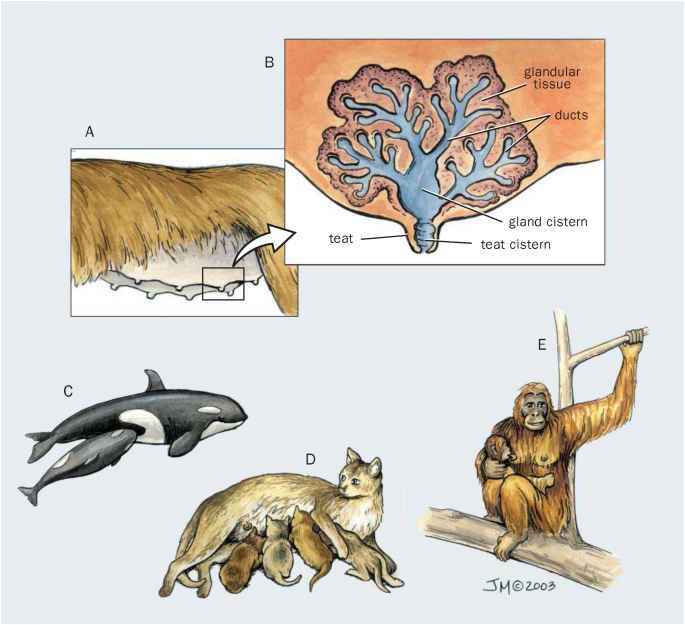 In Marsupial Biology: Recent Research, New Perspectives. Sydney: UNSW Press, 1997. Dickman, R. R. "Distributional ecology of dasyurid marsupials." In Predators with Pouches: The Biology of Carnivorous Marsupials. Melbourne: CSIRO Publishing, 2003. Dixon, J. M. "Thylacinidae." In Fauna of Australia, Canberra: Australian Government Publishing Service, 1989. Friend, J. A. "Myrmecobiidae." In Fauna of Australia, pp. 583590. Canberra: Australian Government Publishing Service, 1989. Krajewski, C., and M. Westerman. "Molecular systematics of Dasyuromorphia." In Predators with Pouches: The Biology of Carnivorous Marsupials. Melbourne: CSIRO Publishing, 2003. Maxwell, S., A. A. Burbidge, and K. Morris. "The Action Plan for Australian Marsupials and Monotremes. IUCN/SSC Australasian Marsupial and Monotreme Specialist Group, Wildlife Australia, Environment Australia, Canberra ACT Australia." In Wildlife Australia, Endangered Species Program, Project Number 500 Report. Canberra: Australian Government Publishing Service, 1996. "Dasyuridae." In Fauna of Australia. Canberra: Australian Government Publishing Service, 1989. Strahan, R., ed. The Mammals of Australia. Sydney: Reed Books, 1995. Taggart, D. A., G. A. Shimmin, C. R. Dickman, and W. G. Breed. "Reproductive Biology of Carnivorous Marsupials: Clues to the Likelihood of Sperm Competition." In Predators with Pouches: The Biology of Carnivorous Marsupials. Melbourne: CSIRO Publishing, 2003. Toftegaard, C. L., and A. J. Bradley. "Chemical communication in dasyurid marsupials." In Predators with Pouches: The Biology of Carnivorous Marsupials. Melbourne: CSIRO Publishing, 2003. The Biology of Carnivorous Marsupials. Melbourne: CSIRO Publishing, 2003. Wilson, B. A., C. R. Dickman, and T. P. Fletcher. "Dasyurid dilemmas: Problems and solutions for conserving Australia's small carnivorous marsupials." In Predators with Pouches: The Biology of Carnivorous Marsupials. Melbourne: CSIRO Publishing, 2003. Wroe, S. "Australian marsupial carnivores: an overview of recent advances in palaeontology." In Predators with Pouches: The Biology of Carnivorous Marsupials. Melbourne: CSIRO Publishing, 2003. Dickman, C. R. "An experimental study of competition between two species of dasyurid marsupials." Ecological Monographs 56 (1986): 221-241. Firestone, K. B., M. S. Elphinstone, W. B. Sherwin, and B. A. Houlden. "Phylogeographical population structure of tiger quolls Dasyurus maculatus (Dasyuridae: Marsupialia), an endangered carnivorous marsupial." Molecular Ecology 8 (1999): 1613-1625. Fisher, D. O., and C. R. Dickman. "Body size-prey size relationships in insectivorous marsupials: tests of three hypotheses." Ecology 74 (1993): 1871-1883. Jones, M. E. "Character displacement in Australian dasyurid carnivores: size relationships and prey size patterns." Ecology 78 (1997): 2569-2587. Kraaijeveld-Smit, F. J. L., S. J. Ward, and P. D. Temple-Smith. "Multiple paternity in a field population of a small carnivorous marsupial, the agile antechinus, Antechinus agilisP Behavioral Ecology and Sociobiology 52 (2002): 84-91. Righetti, J., B. J. Fox, and D. B. Croft. "Behavioural mechanisms of competition in small dasyurid marsupials." Australian Journal of Zoology 48 (2000): 561-576. Soderquist, T. R., and M. Serena. "Juvenile behaviour and dispersal of chuditch (Dasyurus geoffroii) (Marsupialia: Dasyuridae)." Australian Journal of Zoology 48 (2000): 551-560. Taggart, D. A., and P. D. Temple-Smith. "An unusual mode of progressive motility in spermatozoa from the dasyurid marsupial, Antechinus stuartii." Reproduction, Fertilization and Development 2 (1990): 107-114.